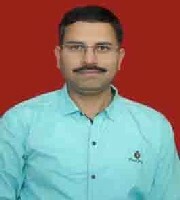 Dr. Anjan Kumar Bhanja did his M.A. from Utkal University (Odisha), M. Phil and Ph.D.from the University of Hyderabad, Hyderabad. He has been teaching undergraduate courses (including Hons.) of Rajiv Gandhi University, Itanagar since 2002 and presently posted at Government College, Doimukh as Associate Professor under Directorate of Higher & Technical Education, Government of Arunachal Pradesh. He has attended a number of International and National Seminars and Workshops and presented papers at the same. He has published articles in national journals and edited volumes. He has completed two research projects funded by UGC and Distance Education Council/IGNOU, New Delhi. His current areas of interest include Comparative Politics, Democratic Decentralisation, Tribal Development and Indian Administration. His book on study of political recruitment entitled Political Recruitment: Perspectives and Perceptions has been highly appreciated in academic circles. 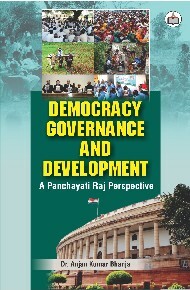 Currently he is working on two research projects funded by UGC and ICSSR- Panchayati Raj in Tribal Contexts and Dividends in Justice: A Study in Directions and DimensionsandModernising Tribal Village Councils through the Agency of Panchayati Raj: A Study of West Kameng District of Arunachal Pradeshrespectively.